A Better Move - Removals/Storage based in Teignmouth, Devon. Welcome to A Better Move Removals & Clearances. 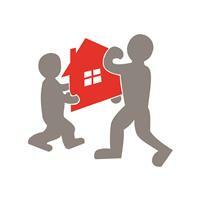 We’re a family run Removal Company based in Teignmouth. We have been trading since 2005, Traveling the length of the country & Europe giving our customers an exceptional quality Removal experience as well as great value for money. We take pride in the appearance of our vehicles, so you can rest assured that your furniture will only ever be loaded into clean & tidy vans. We go to great lengths to make sure your furniture is well looked after while in our possession, making sure all items are blanketed and securely tied into our vehicles. We are fully insured, and we take great pride in delivering a first class service to our customers. You can be confident in the knowledge that our fully trained removals staff have extensive experience in handling the most delicate of antiques and furniture. Objects of sentimental or extreme value will receive extra protection, ensuring all your belongings arrive at your new property in perfect condition. Call Mark for a Free No Obligation Quote, Alternatively click the link below where you can visit our Facebook page and send us a message with your enquiry and check out some of our other reviews. We cover the UK & Europe.